Get your phone in the Christmas spirit! 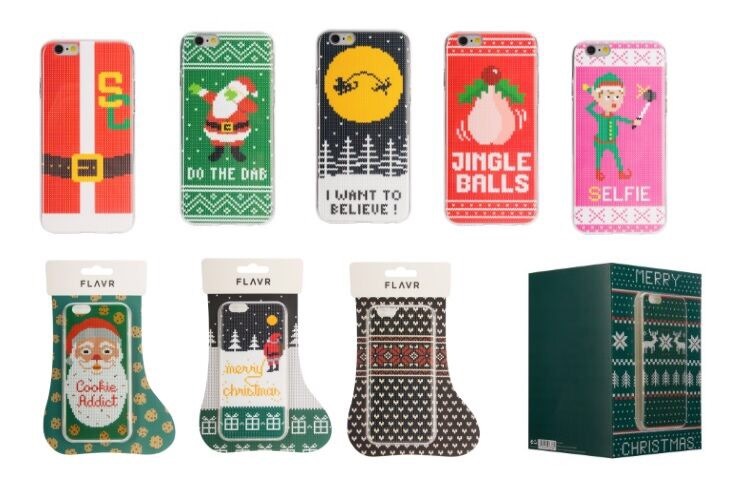 FLAVR are back with a new range of designer Christmas ugly jumper style cases, today they launched their brand new festive range of comedy Christmas jumper themed phones cases for iPhone 5/5SE, 6/6S, 7, 7 Plus and Galaxy 7 and 7 Edge. The new cases are available from £9.99 at Carphone Warehouse. Christmas jumpers have increased in popularity over the last few years with more and more people sporting them on nights out or at work in the festive season. Usually the rule is the more extreme the design, the better. Now that need not just apply to the jumper with FLAVR’s new Christmas cases where the design is so bad, it’s good! With designs to appeal to everyone such as the “I want to believe” case (For X-Files fans), the “Selfie Elfie” case, the “Do the Dab” case and the “Jingle Balls case”, the new FLAVR range is sure to cause amusement amongst friends and colleagues. For the more reserved user who still want to get involved in the festive spirit, there are also a number of patterned designs to match their chosen jumper shown below. All of the range will be packaged in the shape of a stocking or Christmas card to make the perfect pre-Christmas or secret Santa Gift.